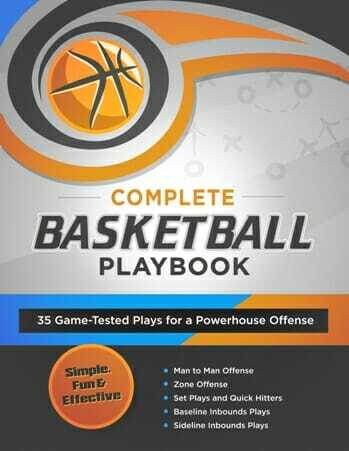 Regardless of what type of basketball offense you are running, or what type of defense you’re playing against, these 16 indisputable laws will always lead to better ball movement, more open shots, and a higher field goal percentage. Each one is based on the offensive philosophy of Hubie Brown. And although he’s known for coaching at the highest levels, you’ll quickly see that each and every concept will apply to all ages and competitive levels. Let’s get started! A dribble should always have a purpose. The player should be trying to bypass a defender, get to the basket, or set up a better angle for pass. When you’re playing against good half court defense, never attempt to pass the ball off the dribble or in mid-air. If the defense anticipates the pass and jumps into the passing lane, it’s very difficult to pull that pass back in mid-motion. Instead, get to a triple-threat position, use a fake… then pass the ball to your target. If your man leaves you to double-team or trap, immediately cut to the front of the rim and look for the ball. Make the defense pay for being aggressive, and they’ll have to stop trapping. From the start of the game to the end, it’s essential to pound the defensive glass and push the ball upcourt as quickly as possible. Over the course of the game, your opponent will have more and more difficulty getting back on defense (especially if they are not in tip-top physical condition). This will free your best shooters up for wide open threes in transition and get your bigs some easy layups if they run the floor at full speed. Always give the ball to a player who’s cutting toward an open area and has the opportunity for a high percentage shot. Not only are these “free points” your opponent is giving you, baskets of turnovers and second shots also have a powerful psychological effect on the game. 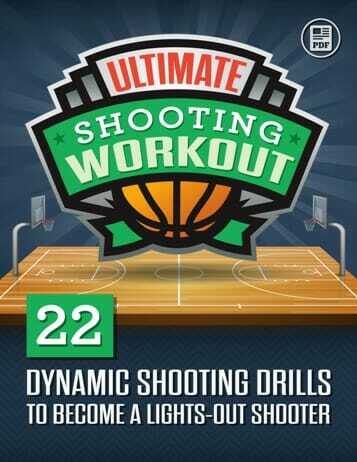 They can demoralize your opponent and really get your players hyped up and playing harder. Any time you get in the lane, you try to make a bounce pass. Chest passes are more difficult to handle at close range, and harder to get through the hands of the defense. By bouncing the ball low, it gives time for the receiver to time his catch and subsequent shot, and the defender will have a harder time deflecting or intercepting the low, bouncing ball. Post-up players should always catch the ball with both hands, then get good position, then turn to the basket, in that order. Don’t rush your move or try to shoot it before getting balanced. You always want to create angles when you start the fast break. Send your wing players as wide as possible around the edges of the court, the ball in the middle, and a big man trailing the play. If your opponent is fronting the post, and your big guy catches it in the paint, he MUST go up strong. He absolutely cannot send up anything soft. You cannot send all 3 perimeter guys to the basket because the lane will be clogged up and the post up man will have no one to pass to. One or two of your perimeter players must stay out of the lane by spotting up for an open shot. This also maintains floor balance and allows your guards to get back on defense more quickly. Whenever the defensive team fronts the low post, you must clear out the opposite side low box defender (ideally to the ball side high post). This gives a clear path for the lob into the post and makes it more difficult for your opponent to help out or double-team. In transition, don’t send your post player too close to the basket. Allow space for cutters through the lane, and set up your post player in the short corner, 6-8 feet from the hoop (instead of right on the block). If you’re going to dunk, you must dunk the ball with two hands. One handed dunks are easier to block, and more likely to miss. Likewise, if you’re laying the ball in under pressure, take time to gather yourself, jump off two feet and go up strong with two hands on the glass. When coming off a screen, always wait until the screener is set before making your cut. This allows you to brush the defender off the screen properly, and also avoids costly “moving screen” calls from the referees. 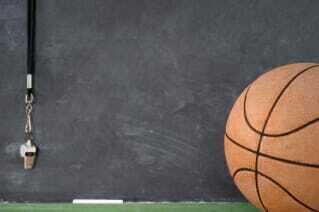 You cannot feed a guy in the post from above the free throw line. That angle makes it too easy for the defender to steal the ball. Instead, have your perimeter player move to the wing and enter the ball from a 45 degree angle. This improves spacing, and forces the post defender to make a commitment – either play behind, or front the post. He can’t do both from that angle. Here are some additional rules, concepts, and strategies for better offensive execution. 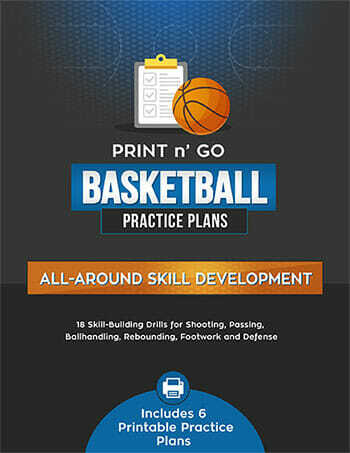 Last but not least, check out our Basketball Playbooks. You’ll find dozens of simple, fun, and effective basketball plays to help your team score more points and win more games. Great article! Here’s another rule I like to teach: if you’re under the basket in traffic, take your time. Pump fake, take a power dribble to collect yourself and go up strong. Don’t rush the layup or your likely to miss.